Thames & Kosmos Mechanical Engineering Robotic Arms ($50). There is a lot of concern about the future of work as robots and automation assume more tasks once performed by humans. You can help prepare your child for this bold, new robotic future by getting them interested in robotics. This set allows your child to learn how robotic machines perform work by building six different robotic arms. Special pneumatic system uses air pressure to power the models. Includes 32-page, illustrated experiment manual and assembly guide. Experts predict our children will be filling jobs that don’t currently exist. The best way we can help them prepare for the future is to spark their curiosity and help them develop skills that will be useful regardless of what job they may pursue in the years ahead. 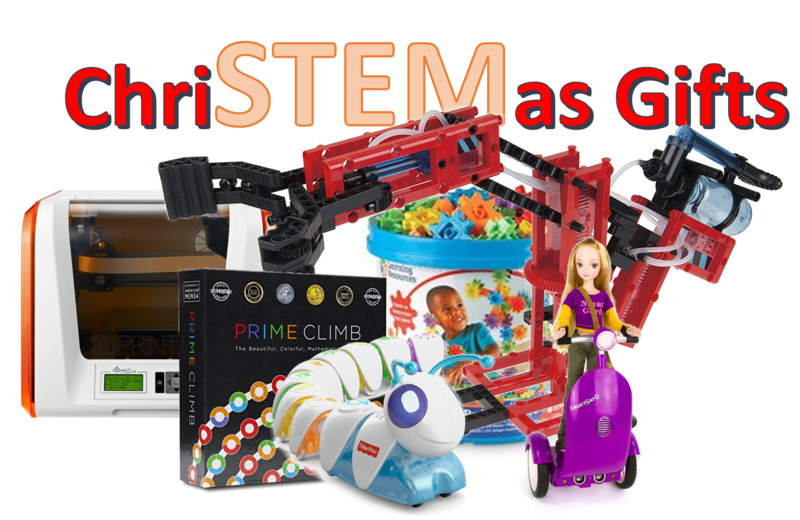 STEM toys are a good way to motivate them to become lifelong learners. For more exciting tech toys, check out Michael Irving’s recommendations. Julie Evans, “The 7 Best STEM Toys to Buy in 2017,” The Spruce, 10 November 2017. Courtney Schley, “Learning Toys and STEM Toys We Love,” Wirecutter, 13 November 2017. Mary Giles and Marisa LaScala, “The 17 Best STEM Toys That Teach Kids to Code (for Toddlers to Teens),” Working Mother, 5 June 2017. Staff, “The Top 5 Best STEM Toys for Teens 2017 | Coding, Robotics, Science,” Stem Toy Expert, 23 May 2017.